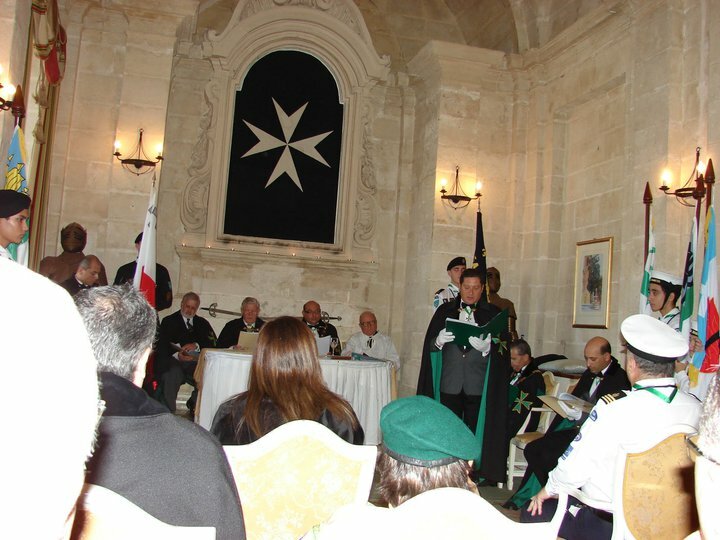 The second investiture for the year 2010 in Malta was held in the Knights’ Chapel of the historic Castle of Selmun on Saturday the 2nd of October 2010. The investiture also included a deputation from the Supreme Grand Priory led by H.E. Richard Comyns of Ludston GCLJ GCMLJ and the Grand Secretary, Chevalier Robin Slack KLJ KMLJ. Deputations from Scotland and Brazil were also present for the investiture which included the participation, as banner bearers of the Msida Sea Scouts who, in this ceremony, were officially admitted into the partnership structure between the Grand Priory of Malta and the Scouts’ Movement. The Grand Prior of Malta, the Right Reverend Monsignor Anton Gauci ECLJ CMLJ, accompanied by the Chancellor of Gozo, Chevalier Charles Caruana KLJ CMLJ duly assisted the investing officers from the Supreme Grand Priory in the proceedings. A number of postulants were admitted into the Order in the grade of Members and Officers of the Order. Additionally, a number of Confreres were also awarded the Companionate of Merit of the Order for services rendered to the community. These included the Group Scout Leader, Assistant Group Scout Leader and Band Master of the Msida Sea Scouts, the Mayor of Santa Lucia and the Mayor of Pembroke, a Councillor from the Municipality of Zurrieq and other distinguished personalities. Immediately after the investiture ceremony, the Msida Sea Scouts stood to attention in the beautiful courtyard of the Castle and gave a lovely performance to the assembled dignitaries. The Grand Secretary, Supreme Grand Prior and his Lady wife were more than happy thrilled to listen to the bagpipes’ rendering of Scotland the Brave which was superbly performed by the Sea Scouts. After the ceremony, the members and guests of the Order were treated to a lavish investiture luncheon under the watchful eye of the Marshal of the Grand Priory, Chevalier Robert Farrugia KLJ. 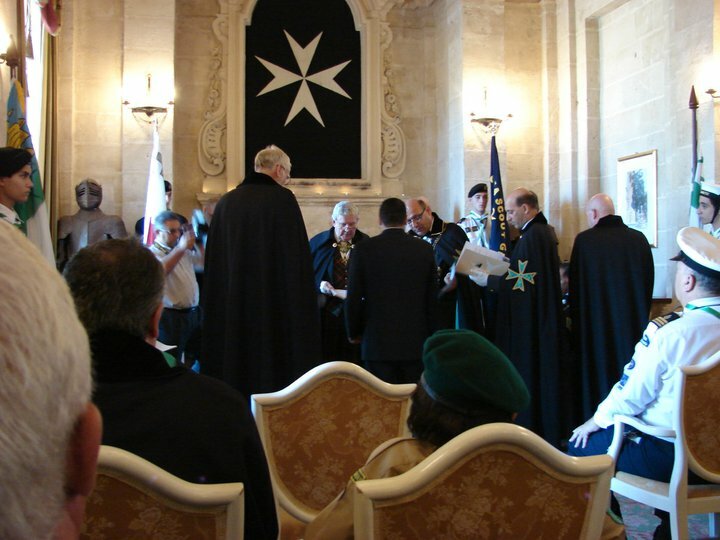 It was indeed a beautiful event and the officers of the Grand Priory of Malta and the Grand Priory of Gozo are now planning for the next investiture in Malta, which will be held on May 7th 2011.